30 Mar How does Wikipedia make money? Wikipedia has over 5.5 million articles and approximately 600 new articles every day on the English version alone. It has 32.5 million active editors and 33 million registered users. The website was launched on January 15, 2001, and had 298 language versions. It has articles relating to a wide range of topics. The online encyclopedia is used by many for their research projects, assignments, presentations and dissertations, but how does Wikipedia make money? The site is designed to make data creation and collaboration easy as it allows people from different parts of the world to edit and contribute content using reliable sources. Wikipedia is supported by Wikimedia Foundation, a not-for-profit organization that aims to build a knowledge database that can be accessed by everyone for free. Volunteers contribute content for free, and the organization handles the website, administration, and servers. In 2017, Wikipedia earned $91 million. However, none of this amount came from any paid service like advertisements or affiliates. The site works on a donation-based revenue model, getting most of its funds through donations from corporations and individuals around the world. Aside from donations, Wikipedia also has other sources of revenue such as in-kind services. These are donations in the form of services, supplies, and equipment. Wikimedia Foundation also sells items on the Wikipedia Store. They offer Wikipedia brand merchandise such as mugs, pins, notebooks, t-shirts, pencils and other items. The proceeds are reserved for their Merchandise Giveaways Program to send merchandise to editors from different countries who contribute to their projects. The average donation is $15. Many people are motivated to donate as donations are tax deductible in their countries. All of the profits earned by the organization are used to support Wikipedia. The funds are also used to support the site’s sister projects. Wikipedia’s source of expenses includes administrative and governance costs. These expenses include administrative costs such as salaries and recruitment expenditures. The funds are also used to support the site’s server, design and research, ongoing engineering improvement, legal support, and product development costs. Donations and profits are spent to support grants and awards as well as fundraising events. A part of the organization’s revenue is used to raise more funds. 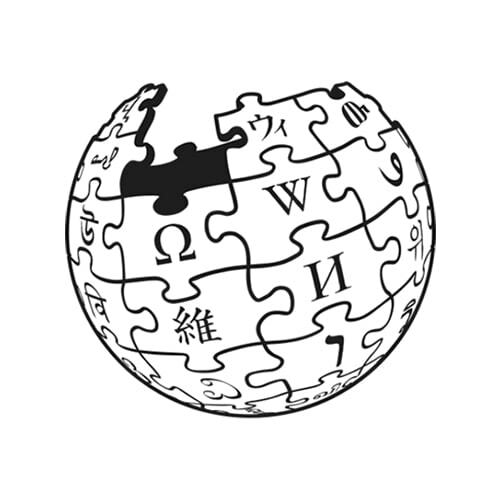 During 2014 to 2015 fiscal year, over 4 million donors contributed $75 million to support Wikipedia. Contributions are made by people from countries all over the world every year. Wikimedia Foundation gets donations of all sizes. Banners can be seen on Wikipedia asking for a small contribution from readers. Wikimedia Foundation aims to make fundraising campaigns as short as possible. Those who have already donated are not asked again. The Wikimedia Foundation team meets and speaks with readers and donors regularly about their impressions of the organization’s fundraising campaigns. Every feedback is taken seriously. They share their approach each year with editors and readers online to obtain their input before starting a campaign. This helps them ensure that their efforts are aligned with their values. The biggest question now is whether Wikipedia’s business model is sustainable or not. What future awaits the online encyclopedia? The biggest threat that the site faces is the rise of smartphones as it has decreased the number of content creators and editors. The company has launched Wikimedia 2030, a global discussion about the future of the site and the Wikimedia movement by 2030. Wikimedia Foundation plans to adapt to the changing technology trends to meet the needs of users and to continue providing unbiased, dependable and transparent information. According to them, they will invite new voices to join them and ensure that those who want to share knowledge on Wikimedia websites and Wikipedia are allowed to do so. They also stated that they would promote the values and policies that have allowed Wikimedia sites and Wikipedia to grow and thrive. This path requires them to explore and be bolder in the future. The organization strives to stay true to its mission providing free knowledge for everyone. The internet has provided us with a lot of tools. Wikipedia is one of the most useful tools we have free access to. The site is a good source of information, and the best thing about it is that you don’t need to spend a single cent to get the information you need. Almost 75,000 active editors make no less than 5 edits on Wikipedia every month. They also improve and review content regularly as well as apply guidelines and policies to ensure Wikipedia is an impartial, accurate and reliable source of information.